US equities saw a day of minor weak chop, sp' -3pts @ 1961. The two leaders - Trans/R2K, settled +0.7% and -0.1% respectively. 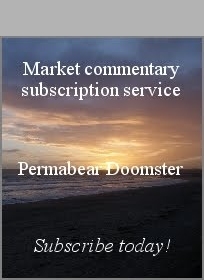 Near term outlook is for continued chop into the FOMC announcement of Wednesday afternoon. *awaiting TWTR earnings, will be a curious one to watch. Frankly, there isn't much to note. Market looks set for further minor chop tomorrow.. and into the Fed press release on Wed' at 2pm. Best guess, a brief attempt to break and hold the sp'1970s... but failing, with a reversal.... and a monthly close in the sp'1950s. The cam view is of the nearby fissure. The actual Bardarbunga caldera continues to collapse. Eventually.. the overlying glacier/ice will meet the core magma chamber.... then those in NW Europe should expect some kind of 'Booooooooom'. Holding declines of around -10%.... low so far.. -14% in the $42s. 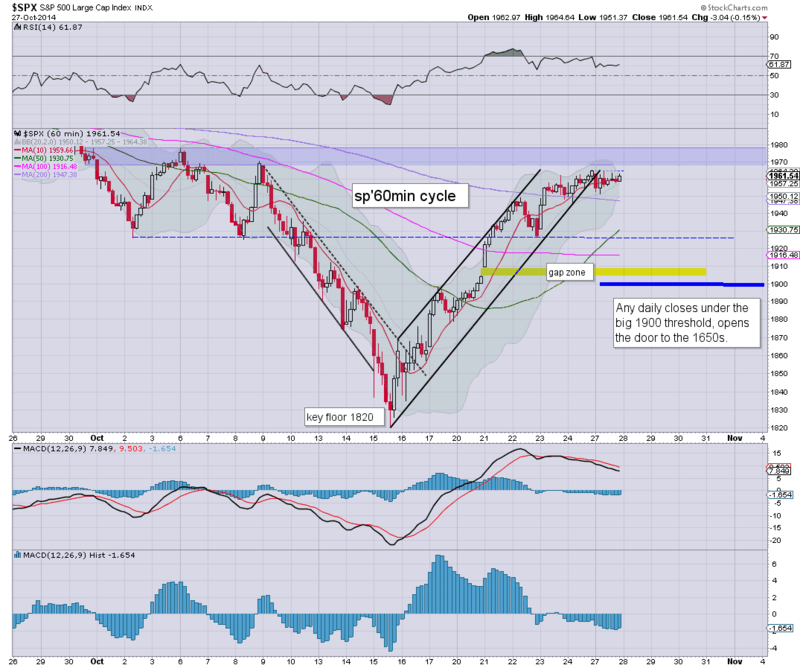 next support is not until the $40 threshold.... where there is a clear gap from last earnings. 4.35pm TWTR -11% in the $44s.... a move to $40 looks pretty likely in the near term. 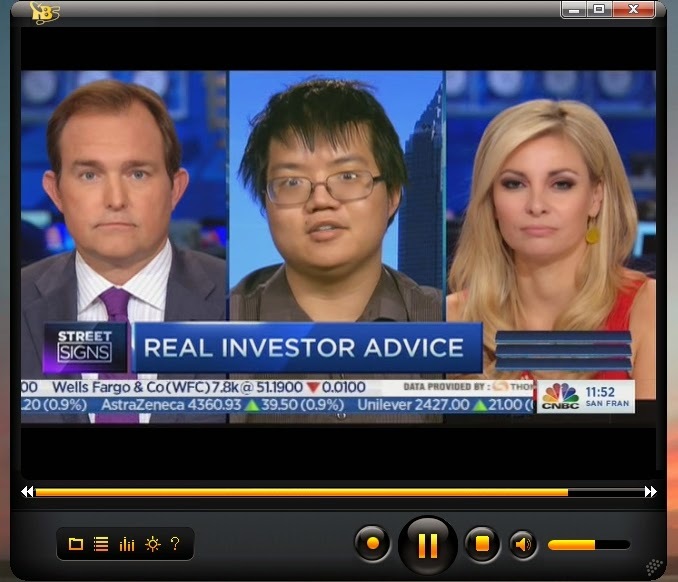 Watching clown finance TV (I really should turn it off), some maniac 'expert guest' was talking about how Amazon just needs to be given some more time to become profitable. More time? Bezos has had the best part of a decade.. how many more years does he get? If there is one company I want to see receive true 'fair value'... it is the AMZN. Not that I'd short it... still seems overly risky. AMZN remains one to watch.... (along with TWTR, FB) for purely 'entertainment' purposes. *I'll post a daily wrap at 8pm EST. US equities have started the week with a day of minor weakness, and there is little reason why the bulls will be able to attain the 1970s this side of the FOMC announcement. Energy prices remain weak, but well above the morning lows. Little to add... on what is essentially just a holding pattern ahead of the FOMC. Notable weakness, miners, ETF of GDX -1.4%.... still set to lose the 20s. US equities remain stuck under the wall of resistance of the sp'1970s. 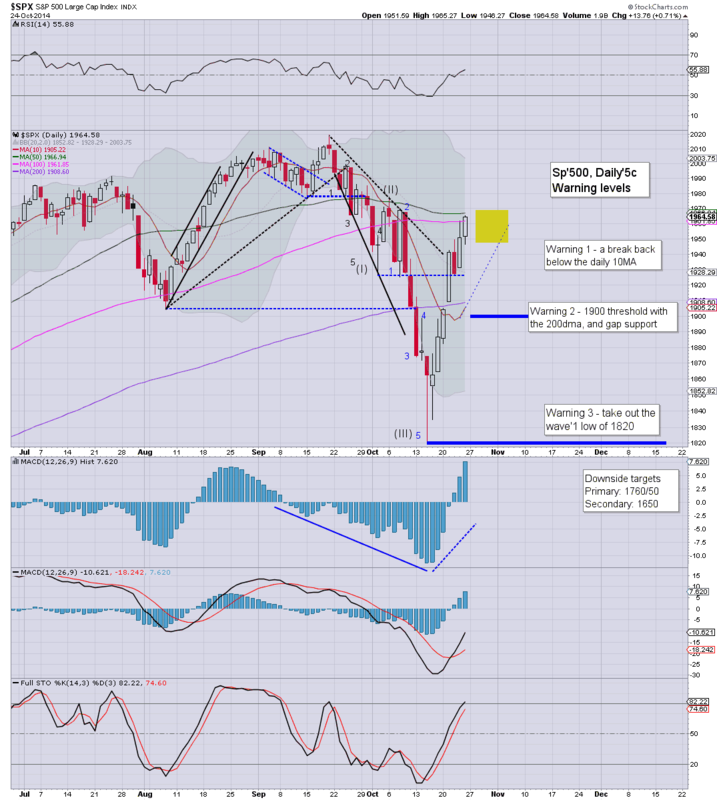 A brief break into the 1970s looks viable... but from there... a reversal of some kind - at least to the 1920s. 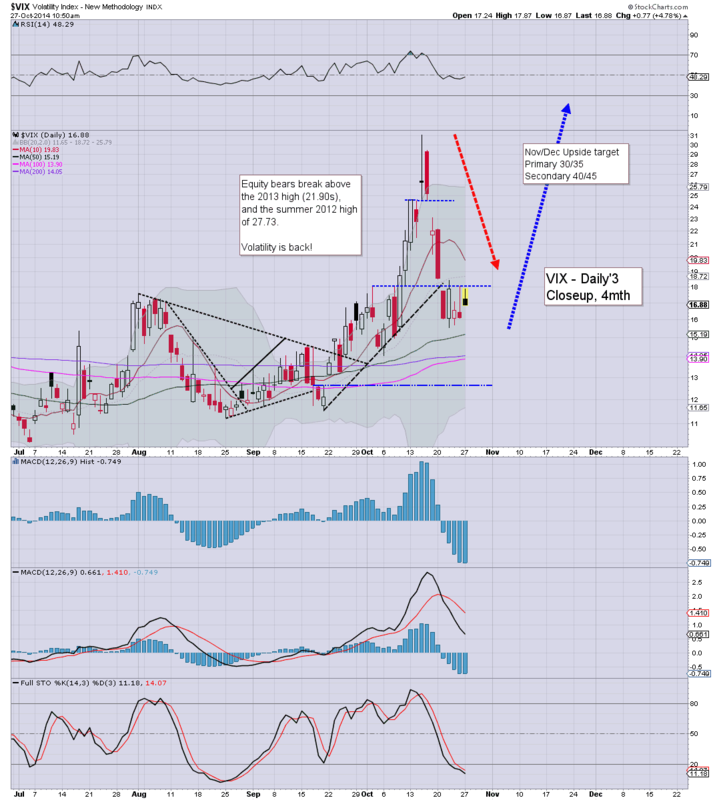 VIX has cooled, now just +1.5%... a red close is viable. Its turning into a real sleepy afternoon.. and here in London city.. its already night. 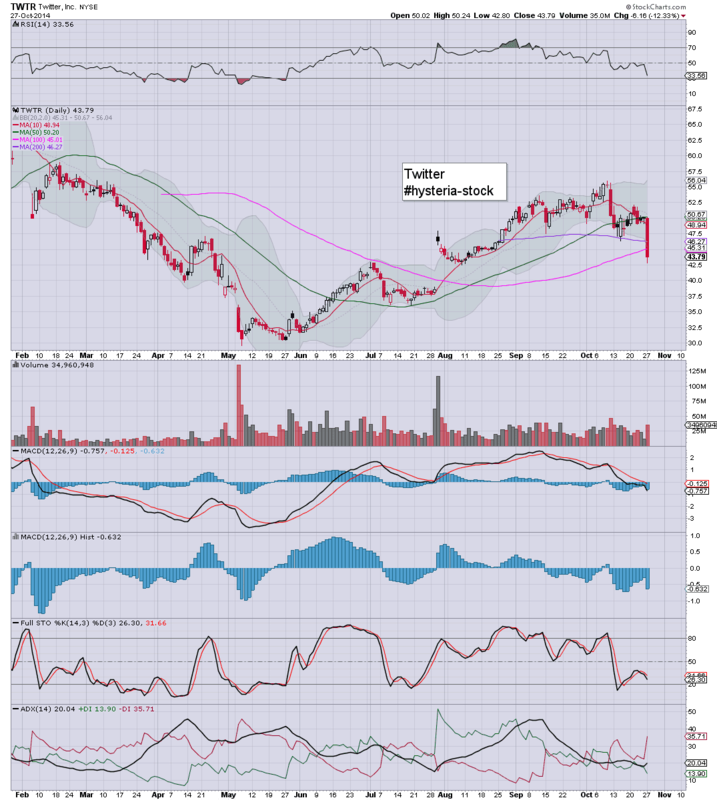 Notable weakness, TWTR -2.7%.. which has results at the close. US equities remain seeing minor weak chop in the sp'1965/50 zone. Market looks set to continue in chop mode until at least Wednesday afternoon.. when the Fed are set to announce the official end of QE3.. aka.. QE infinity. Not so infinite... after all. *As for the above chart, it is something I'll be highlighting often in the days ahead. The good thing is that the levels are pretty clear. Sustained price action >1970.. and the doomer 'crashy' scenario is off. A break <1900 offers a free fall move to the 1650s. Many traders are very likely just settling in for some moderate chop for the next few days. Market is stuck just under a resistance wall of the sp'1970s... and above first soft support of the mid 1920s. Energy stocks remain under severe pressure, from lower Oil prices. Suffice to say... choppy start to the week... but as expected. Another few days of this seems likely... before market picks a direction. I suppose it could drag out into next week, but really.. who wants to be going long >1970, seriously? 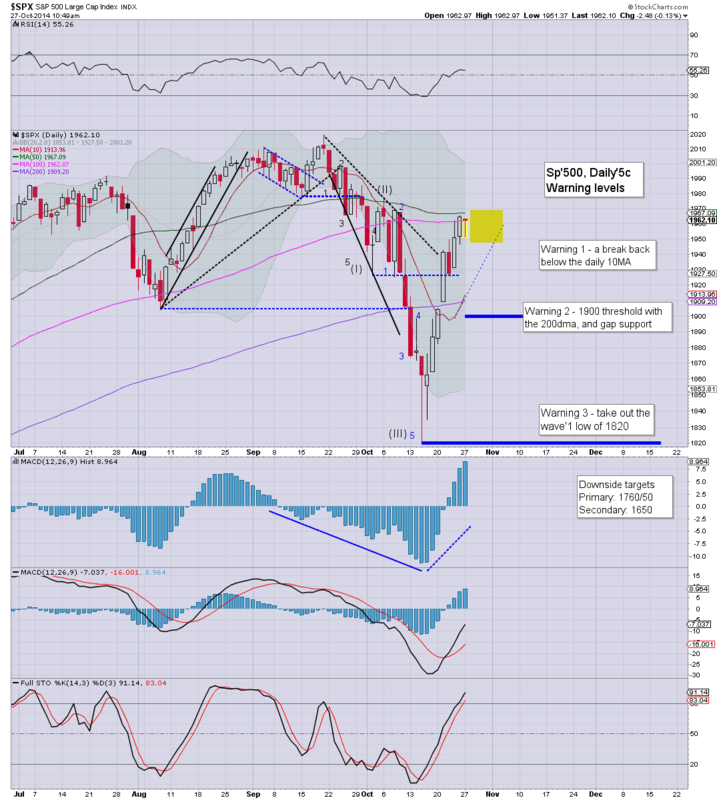 *notable black-fail daily candle on the VIX, again suggesting no major down wave for some days... until post FOMC. So... minor chop...but really, there is little reason to expect sig' downside until late this week. 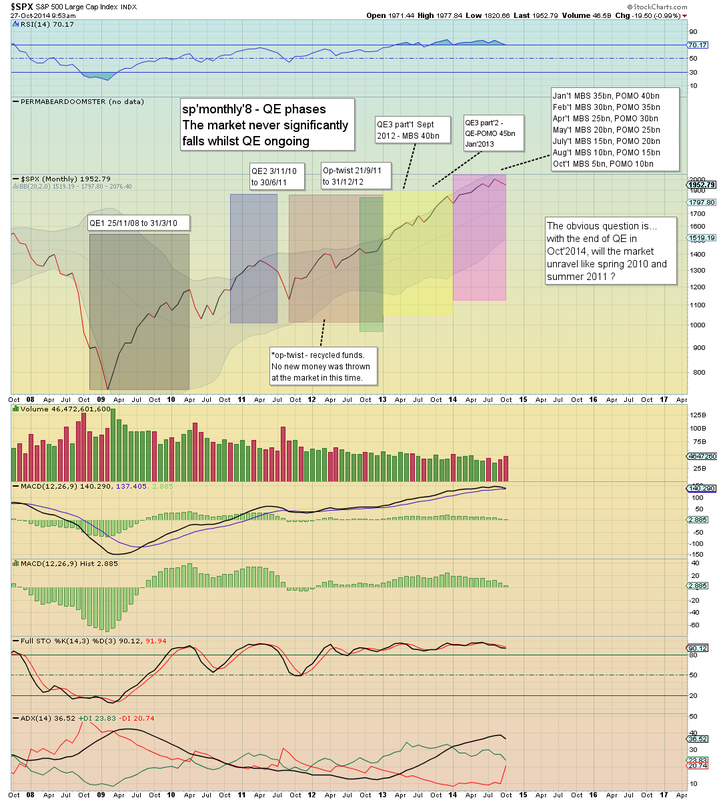 Energy stocks remain really battered... CHK, RIG, SDRL, very sig' declines, and the outlook into 2015 looks dire. There are a fair few out there who are suggesting no down wave until after the US mid term elections (next Tuesday) I believe. 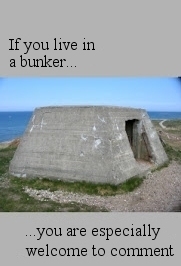 In many ways, that would be understandable. Notable weakness: coal miners, BTU -4%.. in the $9s... first time since 2004. An upside target of 1978... which is possible this week, but hell, bears would need to see some kind of swift reversal from there, with a Friday close in the 1950s. 11.25am ... suffice to say... bearish Tesco. Urghhh. If their automated checkouts get any more broken they'll miss their revenue estimates by 99% in Q4. Notable strength, BABA +2.7%... in the 98s. The momo chasers will be gunning for the big $100 this week. 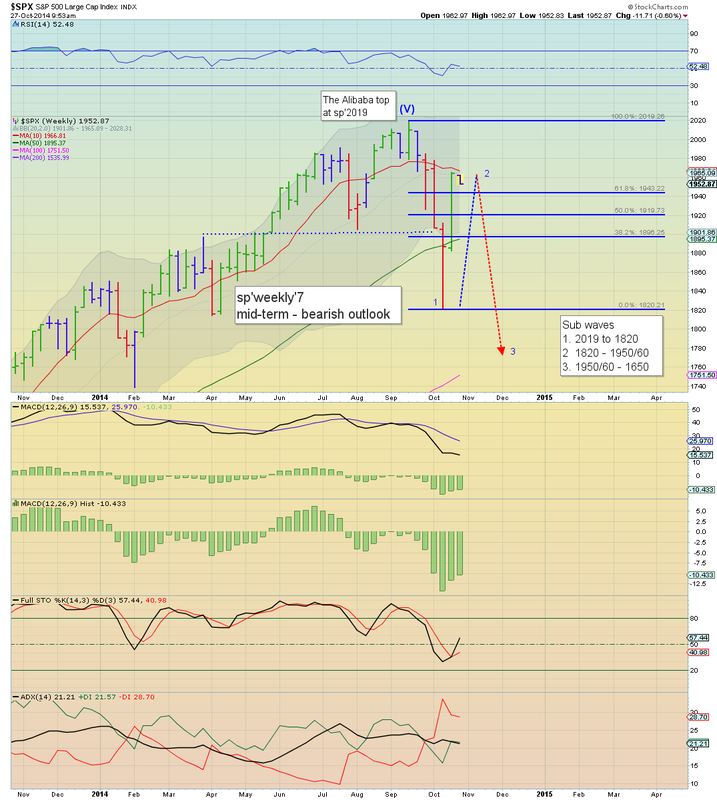 **A monthly close in the 1950s.. or lower... is pretty important for the bears to achieve. There is a lot going on... but suffice to say.... energy prices weak, Nat' gas -1.6%, with Oil -2.3%, and that is not helping the energy sector. 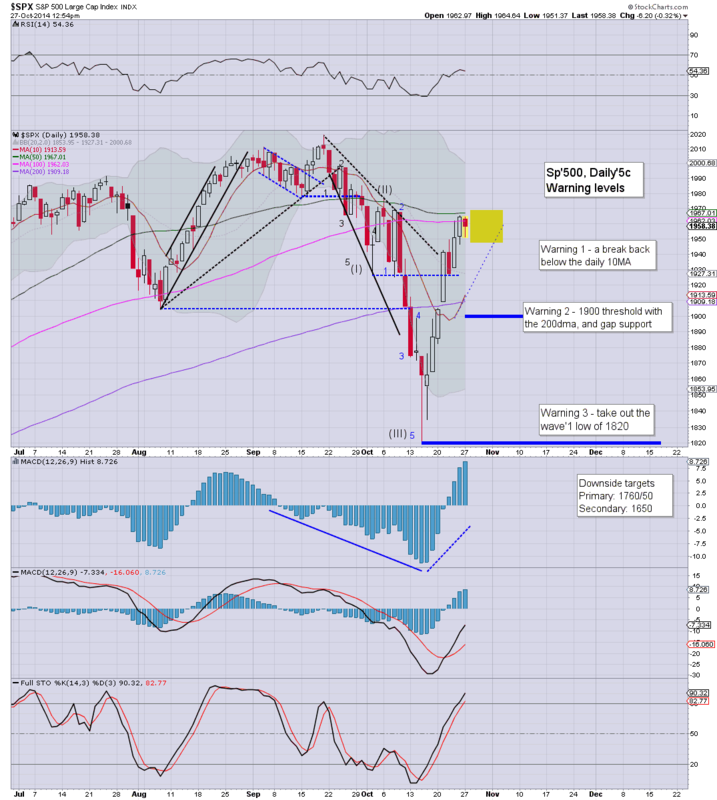 Notable weakness, CHK -5.4%.... the recent gains are strongly fading. Regardless, I think most will be in a holding pattern until the FOMC of Wednesday afternoon. BTU fails to hold $10.... headed for $5... almost certainly. Good morning. Futures are a touch lower, sp -3pts, we're set to open at 1961. Metals are a touch weak, Gold -$2, whilst Oil is lower by a rather significant -1.2%. Today is likely the last of the QE fuel... bulls beware! *awaiting PMI service, and pending home sales data. As for chart 5c, it is merely a reminder (if only to myself) of likely valid warning levels. For me, it is all about the 1900 level. If that is closed back under, then a move to the 1600s becomes pretty straight forward. Notable early strength: BABA +1.6%... still making a play to take out the opening high of $99. Personally, the 'dollar doom' talk is utter nonsense. The irony is that far from imploding, the USD is likely to see further strength, not least with further EU weakness. Hoffman.. along with Schiff, and many of the other dollar doomers simply have a closed mind... never mind their bizarre obsession with one asset class... precious metals. It is all pretty lame really. Regardless, it can be useful to keep an eye on what the kooks are saying. Good wishes for what will be a big week! 8.49am... Futures weakening... sp -8pts... 1956... so.. VIX will likely be up by 5-7% in the 17s.